JANE. She was born one hundred and seventy three years ago, and for the last one hundred and thirty plus years, she has been lying in her grave; her soul in eternal repose, her bones returned to dust. Yet, Jane has been constantly on my mind, invading my thoughts as I go about my daily routine. Day after day, hour after hour, Jane is with me as I dwell upon her life two centuries ago. Until my recent discovery of a document, Jane was a woman of great mystery to me. As I uncover small facets of her life, the reality of her existence is emerging from the darkness of the past. Jane’s descent from Womack Fowler, and her two marriages to Fowler men, intertwine into a giant ball of ancestral confusion, slowly unraveling, and bestowed upon her children an extraordinary amount of Fowler DNA. Jane’s mother was Martha Patsey Fowler, eldest daughter of Womack Fowler and Susannah Moseley. Womack was a son of Union County, South Carolina Fowler Patriarch, Henry Ellis Fowler. Martha Patsey Fowler, mother of my Jane, married John Jackson Hodge, a man if not born in Ireland, then certainly of Irish descent. The Hodge and Cooke families, formerly of Ireland and later, of Union District in South Carolina, were connected to each other through marriages, and perhaps even shared the journey from Ireland to the land of hope and opportunity. The Fowler family had its many links to both the Irish Cooke and Hodge families as well, thus it was not surprising that young Martha married her Irish beau. Jane was the firstborn child of this union, with six brothers and three sisters to follow in the ensuing years. Jane’s birth in or about 1826 and marriage prior to 1850 to her cousin Ellis Fowler (son of Mark and Elizabeth Moseley Fowler) prevented her name from ever being listed in a census record with her parents. Subsequently, the origins of her birth and surname lay undiscovered by many researchers. It appears that Jane had a daughter circa 1840, when she was only 14 years of age. The daughter was also a Jane, and raised in the household with Womack Fowler’s widow, Susannah Moseley Fowler, maternal grandmother of Jane Hodge. Daughter Jane was given the surname of Fowler, perhaps by census takers assuming that the young girl shared the surname of the household. Susannah Moseley Fowler’s household of 1850: sons Rufus, Felix, James, Wymack, daughter Susannah, probable granddaughter Harriet, and great granddaughter Jane. Susannah Moseley Fowler’s household of 1860: daughter Susan, great granddaughter Jane, and granddaughter Harriet. Jane Hodge had married her cousin Ellis Fowler before 1850, and they had two children, Martha born in 1846, and Mark born in 1849. Daughter Martha may have been named after Jane’s mother, Martha Patsey Fowler Hodge, and perhaps son Mark named after Mark Fowler, father of Ellis. In 1850, the Ellis Fowler family lived next to his father, Mark Fowler. There were two more children born to Jane Hodge Fowler, Susan (1854) and John (1856) who may have been fathered by Ellis Fowler, although I am still searching for proof of this. My theory on the above statement is based solely on the idea that the son John born in 1856 was the son Ellis J. or Elias J. Fowler mentioned in the newly found document. If his name was Ellis John, then it makes perfect sense that he was named after his father Ellis Fowler. It is known that Ellis Fowler was out of the household before 1860, whether by desertion or death as Jane Hodge Fowler was married to Simeon Fowler (son of William Fowler and Rhoda Mosely). Jane and Simeon Fowler had at least three children: Samuel born in 1860; Franklin born in 1861; and Elma (or Elvira) born in 1866. In 1860, Jane and her second husband Simeon Fowler were living next to Simeon’s widowed mother, Rhoda Moseley Fowler, and Simeon’s brother James Fowler and wife Caroline Hodge were living nearby as well. Jane and Simeon had children Martha, Mark, Susan, John, and Samuel in their household of 1860. Jane and Simeon’s household of 1870 included children Martha, Susan, Samuel, Franklin, and Elma. Jane had died before the 1879 settlement of the estate of Womack and Susannah Moseley Fowler. 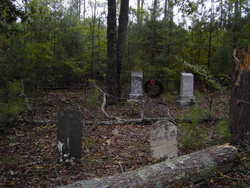 Her husband Simeon Fowler and her children Martha, Mark, Susan, Ellis J., Samuel, Franklin, and Elma survived her, and received Jane’s share of the estate. Simeon Fowler was a widower in the 1880 census living with sons Samuel and Franklin. Daughter Elma was living next door with her husband John Hill.